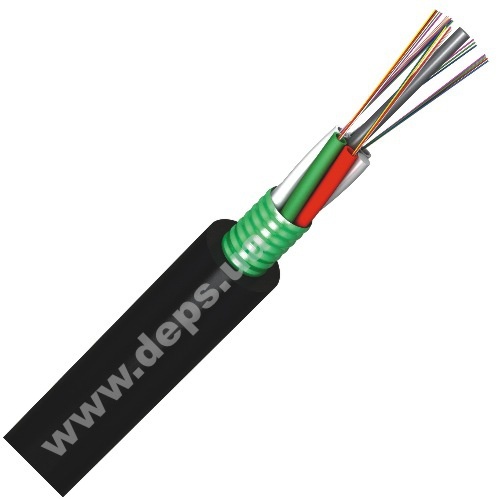 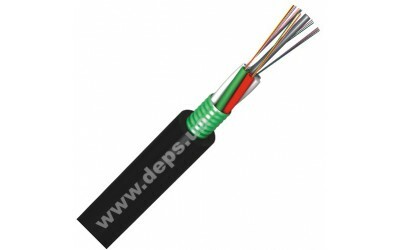 Cable with 5-26 optical modules, twisted around the central strength element, they can contain up to 312 optical fibers. 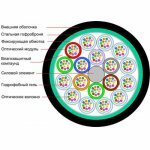 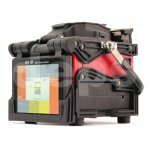 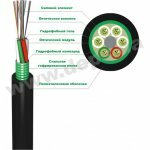 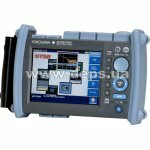 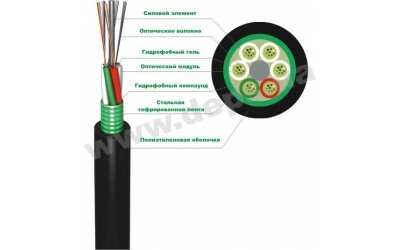 In cable with fiber amount 4-144 optical modules are located in one layer, for larger amount – in two layers. 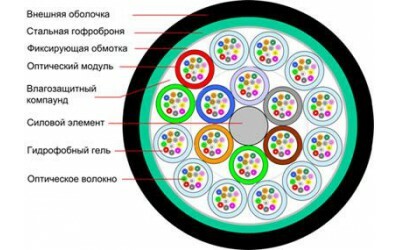 Cavities between optical modules are filled with hydrofobic water-blocking compound. 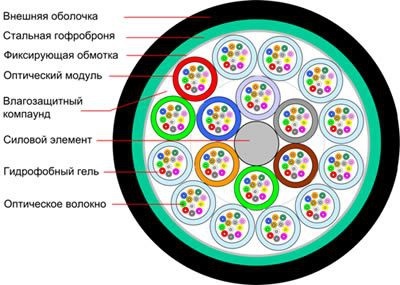 In cable with small amount of fibers, instead of missing optical modules so called «filling» modules are used. 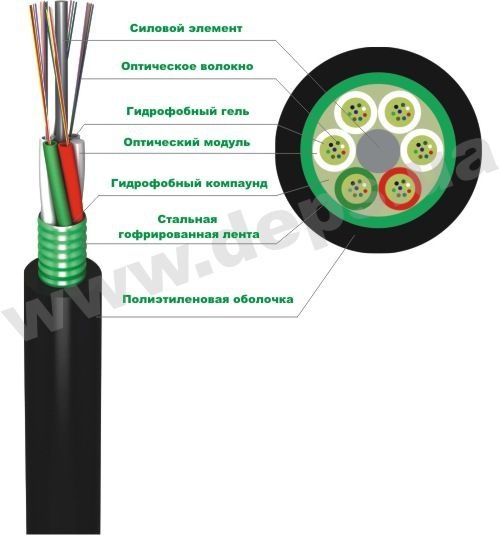 Armour layer is made from steel goffer band, and apart from providing mechanical protection, serves as a hydrobarrier preventing moisture diffusion through polymeric coatings towards optical fiber. 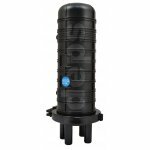 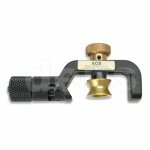 External coating is made from UV-stabilized polyethylene of high density.